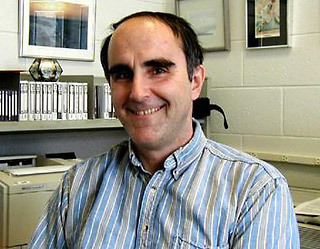 Dr. Perovich created the Ice Mass Balance Buoy (IMB). The IMB measures ice thickness and temperature data over time. Dr. Perovich uses this data to study the changes in Arctic sea ice cover, which will improve our understanding of the role of the sea ice in the global climate system and the sensitivity of sea ice as an early indicator of climate change.